At this home in upstate New York, we added two bookend additions and opened up the existing interior by creating an open enfilade between the new wings. The additions nearly double the size of the home, creating a master suite on one end and a kitchen/breakfast room on the other. 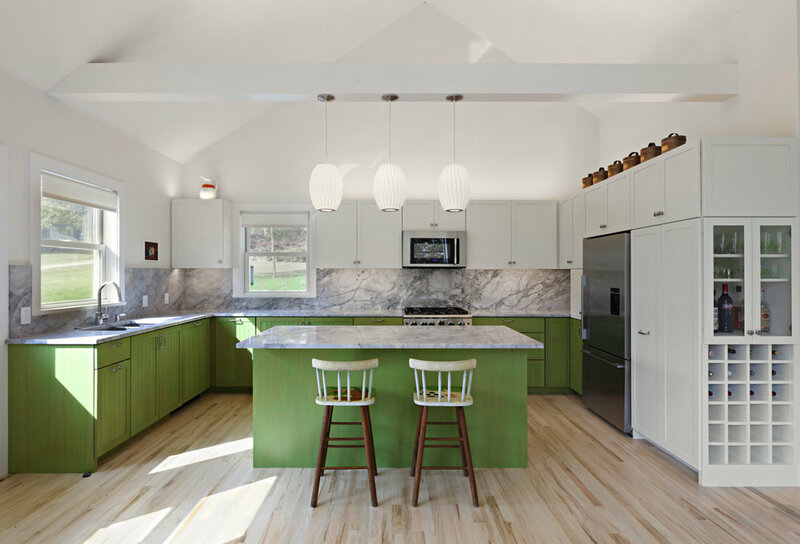 The exterior of the two additions matches the existing residential vernacular while the interior offers a more contemporary open organization.